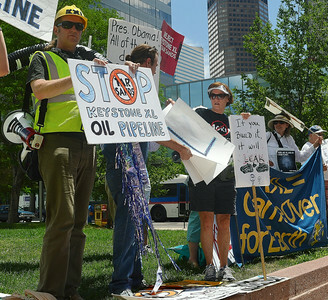 Protest against KXL pipeline during visit to Denver by President Obama. 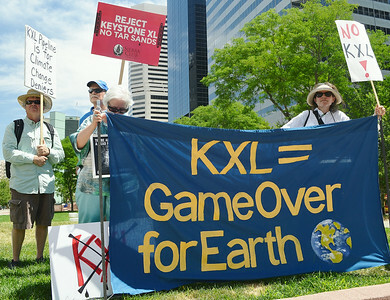 Group of KXL pipeline protesters standing behind banner. 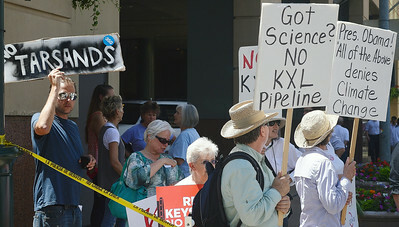 Group of KXL pipeline protesters holding signs. 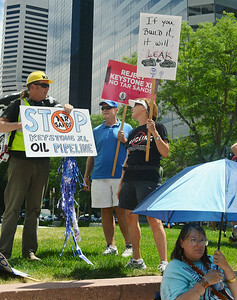 Group of anti KXL pipeline demonstrators hoding signs including one directed at President Obama. 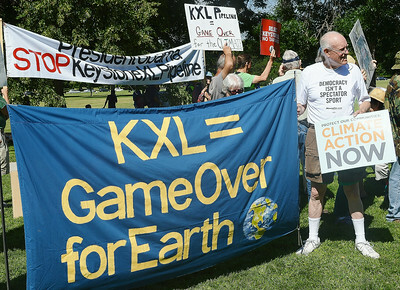 Senior man holding large banner opposing KXL pipeline. 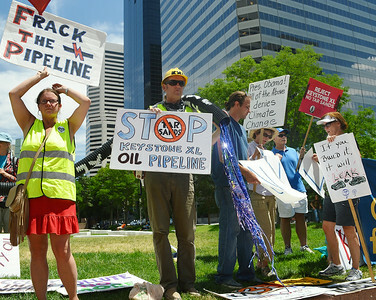 Anti KXL pipeline protesters holding signs, including man dressed as pipeline worker with hardhat. 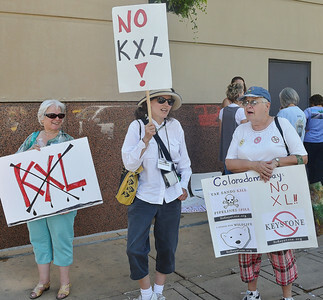 Three women at protest against KXL pipeline holding signs. 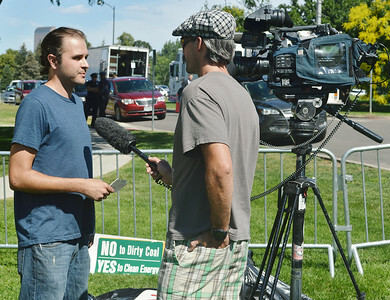 Representative of 350 Colorado being interviewed by TV news reporter.